When we we were created, God gave us the power of choice. We have to choose to follow him and accept his Gift. You see there is nothing we can do to earn the Gift of Eternal Life we have to make that choice to accept Jesus as our Lord and Savior. For me, I think that John 3:17 really describes the PASSION of Christ. Using the dictionary definition of Passion illustrates that John 3:17 shows that we (man created in God’s image) are the object of desire for Christ. He wanted to save us from Sin and Eternal Death so God sent his Son Jesus to live the perfect life here on earth and to be the perfect sacrifice so that we can be saved from Sin and have the opportunity to have Eternal life. He doesn’t desire one of us to be missing, but He knows not all will make that choice. This Sabbath was Communion in my church. In our communion service we reenact the ordinance of humility or the “foot washing” ceremony as Christ did before the Last Supper. The washing of the feet was usually reserved for servants as it was considered a lowly task to do. Imagine the King of Kings and Lord of Lords, humbling himself to wash the dusty feet of his disciples. My friends taking part in that ceremony helps you to understand Christ’s Love for us. Then to take part in eating the bread which is the symbol of Christ’s body and to drink of the ceremonial wine that is His blood. It just puts you into the zone of the PASSION. 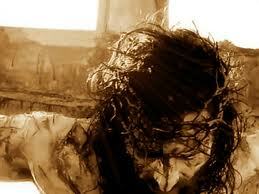 If you have never seen the movie The Passion of the Christ (click to see the trailer) I suggest you watch it. It is very graphic but it had to be. It shows what Jesus endured for all mankind. If you ever need a Spiritual Reality Check, watch the movie. Friends, we need to have a passion for Christ like He has for us. All it takes is to say “YES” to his gift and plan for salvation. We need to have that intense, driving, or overmastering feeling or conviction for Jesus. I can go on and on about this subject but I think you get my point. I hope you remember the PASSION. If you have not chosen Jesus Christ as your Lord and Savior, consider it. He has already died for you. Remember brothers and sisters, I am not a theologian, I am not a Pastor, I am just tryingtobeamanofgod.